"Kook Jin Moon dismissed from Chairman position at Tongil Foundation"
Kook Jin Moon (43) was removed from his position as chairman of the Tongil Group by the board of directors. Mother Hak Ja Han (70), currently Chairman of the Family Federation for World Peace and Unification, was in conflict with her 4th son Kook Jin Moon and 7th son Hyung Jin Moon (34) who is the International President. The [conflict led to the] two sons leaving from Korea. Kook Jin Moon's translator Mr. Timothy Elder who works for the Tongil Foundation, reported on his Facebook page on March 23rd that "Kook Jin Moon was dismissed from his position in the Tongil Foundation." And said that "Bo Hi Pak's younger brother No Hi Pak was appointed" as the next chairman. Mr. Elder explained that a "board meeting called by the chairman in Pearl River, NY, failed to reach a quorum, when the four board members who requested the meeting did not appear." "The four held a separate meeting of their own at midnight, Korea time, in Cheongpyeong. It was here that Kook Jin Nim was removed." A few days before, on March 20th, Mr. Elder gave an advance notice that chairman Kook Jin Moon would be dismissed by posting an announcement on the Tongil Group website. The announcement said, "The chairman has decided to accept True Mother's words about his dismissal with a heart of obedience. And he has canceled everything in his schedule as Foundation chairman as well as any plans to go back to Korea." With this latest development it looks like all the lawsuits that Chairman Kook Jin Moon did against UCI president Hyun Jin Moon will be stopped. 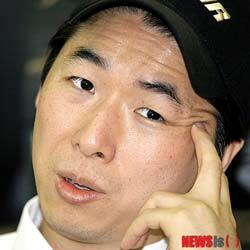 Chairman Kook Jin Moon is expected to focus on managing KAHR Arms, a weapons company. Chairman Kook Jin Moon's dismissal was triggered after his father Rev. Sun Myung Moon (1920-2012) passed away on September 3rd of last year, when he blocked his brother Hyun Jin Moon from attending his father's funeral and when Hyun Jin Moon's family was excluded from the list of bereaved family members, among other conflicts. In January of this year Chairman Hak Ja Han gave the order that her children should stop all the lawsuits and unite, but they did not follow that direction. On November, 2010, chairman Kook Jin Moon initiated a lawsuit to "Cancel the right to the superficies" with the purpose of stopping the construction taking place at Parc1 in Yeouido, Seoul. The defendants lost in both the first trial and in the appeal, and they are now waiting for the Supreme Court's decision. Upon hearing the news that Kook Jin Moon was dismissed from the chairman position, members of the Emergency Committee of Blessed Families made an announcement saying that they "welcomed Chairman Moon's dismissal". They expressed that, "We should not engage in words and deeds that go against Rev. Moon's lifelong dedication and work", and said that they "Once again urge the church leaders to understand their original providential responsibility and mission by aligning the church and Tongil Foundation with heaven's will, and that on the occasion of Kook Jin Moon's dismissal the church should immediately stop all the unnecessary lawsuits taking place in Korea and abroad as True Mother (chairman Hak Ja Han) declared." 문국진(43·사진) 통일그룹 이사장이 재단이사들에 의해 해임당했다. 이에 따라 어머니인 한학자(70) 세계가정연합(통일교) 총재와 갈등을 빚은 4남 문국진 이사장을 비롯해 7남 문형진(34) 세계회장이 모두 한국을 떠나게 됐다. 문국진 이사장의 통역이자 통일재단 대외협력실장 티모시 엘더는 23일(미국시간) 자신의 페이스북에 “문국진이 오늘 통일재단 이사장직에서 해임됐다”고 알렸다. 후임에는 “박보희의 동생 박노희가 임명됐다”고 전했다. 엘 더 실장은 “문 이사장은 뉴욕의 호텔에서 이사회를 열자고 했으나 이사회 개최를 요청한 이사 4명이 회의에 나타나지 않아 정족수에 미달했다”며 “4명의 이사는 청평에서 밤 12시에 회의를 따로 열고 문 이사장을 해임했다”고 밝혔다. 앞서 엘더 실장은 20일 통일그룹 홈페이지에 ‘통일그룹 대외협력실장 발표문’을 통해 이사회가 문 이사장을 해임할 것을 예고했다. “문 이사장이 어머니의 말씀에 순종하기로 했으며 한국 귀국일정을 비롯해 재단 이사장으로서의 모든 일정을 취소한다”고 발표했었다. 이로써 문 이사장이 그동안 문현진(44) UCI회장과 벌이던 모든 소송이 중단될 것으로 보인다. 미국 뉴욕에 머물고 있는 문 이사장은 당분간 총기회사인 KAHR의 경영에 매진할 계획이다. 문 이사장의 해임은 지난해 9월3일 아버지 문선명(1920~2012) 통일교 총재가 사망하자 문현진 회장의 조문을 막고 유족명단에서도 제외하는 등의 갈등이 크게 작용했다는 분석이다. 지난 1월 한 총재가 형제간의 모든 소송을 중단하고 화합하라고 명령했지만 이들은 듣지 않았다. 문 이사장은 2010년 11월 서울 여의도 파크원 공사를 중단시키기 위해 지상권설정등기말소 소송을 제기했다. 이 소송은 제1심과 제2심에서 원고 패소판결을 받았으며 대법원 판결을 기다리고 있다. 통 일교 축복가정 비상대책위원회는 문 이사장의 해고사실이 알려지자 성명을 내고 “문 이사장의 해임을 환영한다”고 밝혔다. “문 총재 생전의 정성과 유업에 역행되는 일체의 언행은 결단코 삼가야 한다”면서 “문국진 이사장의 해임을 계기로 이미 참어머님(한 총재)이 선언한 바와 같이 국내외에서 벌어지고 있는 불필요한 모든 소송을 교회가 즉각 중단하고 하늘이 교회와 재단을 세우고 바라시는 본연의 섭리적인 책임과 사명을 교회지도자들이 깊이 깨닫게 되기를 다시 한 번 촉구한다”고 말했다.